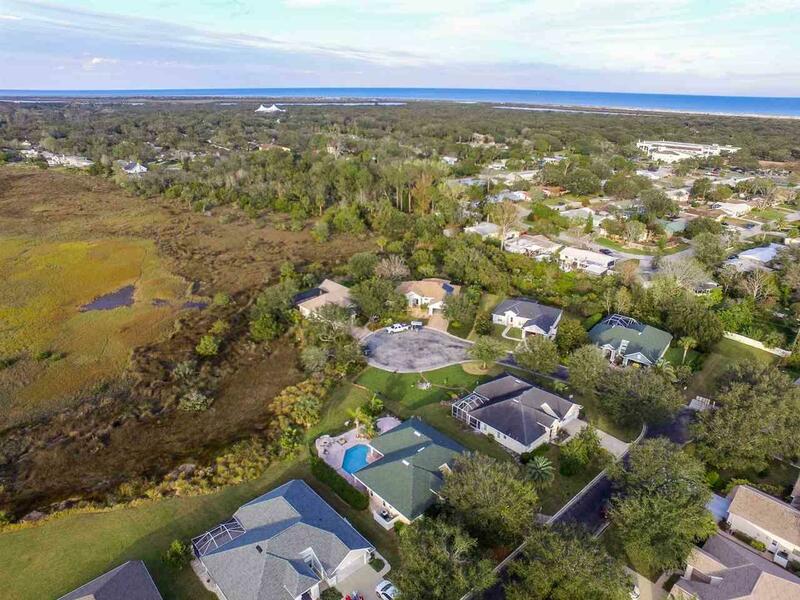 This one-of-a-kind salt marsh home has an unobstructed view of the downtown skyline and Lighthouse. 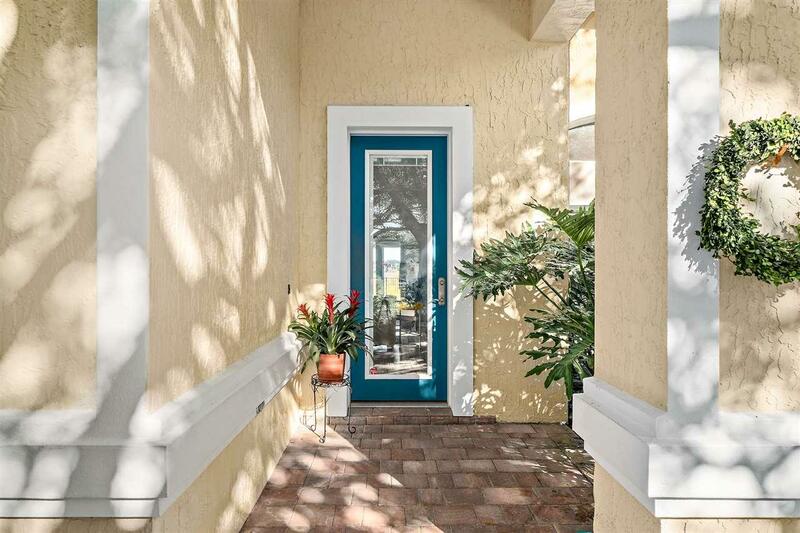 This fully upgraded home comes complete with new driftwood-colored cabinets, Brazilian cherry hardwood floors, top-of-the-line GE appliances, travertine, and terrazzo. The beautiful heated saltwater pool, fire pit, and pavered and fenced backyard allow for maximum enjoyment of the serene landscape. The one-level, split floor plan gives homeowners and guests their privacy and is perfect for multi-generational living. In addition, this home is "Aging in Place" compliant with no stairs, roll-in showers, and xeriscape, low maintenance landscaping. The convenient Island location provides easy access to downtown, the beach, Lighthouse, and Anastasia State Park. Bring in dinner from your residents-only fishing lake! 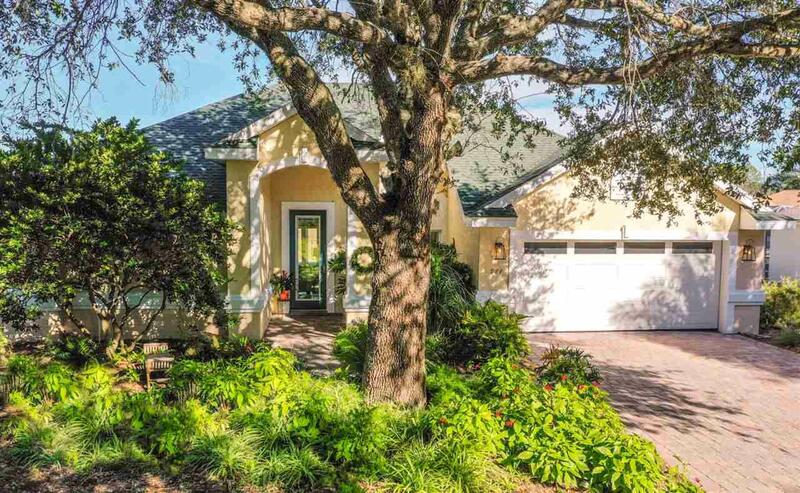 This low maintenance, turn-key home is move-in-ready and waiting for you to start your St. Augustine Life. 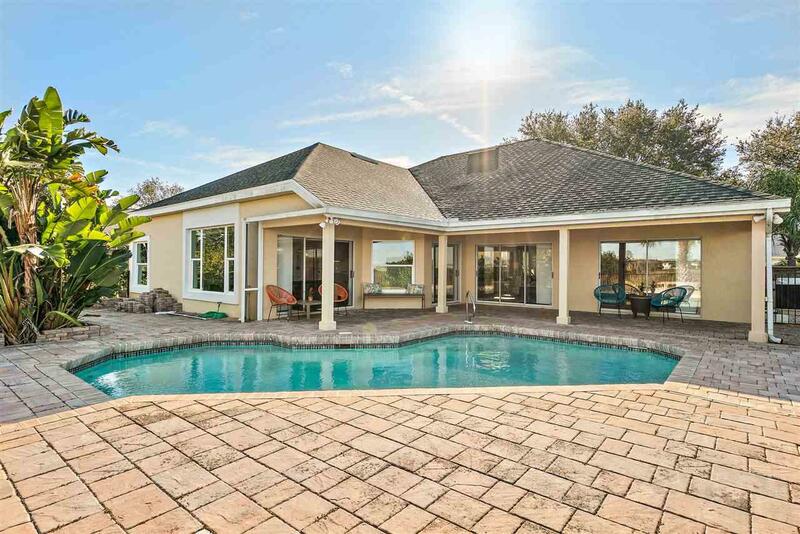 Listing courtesy of St Augustine Real Estate Company.